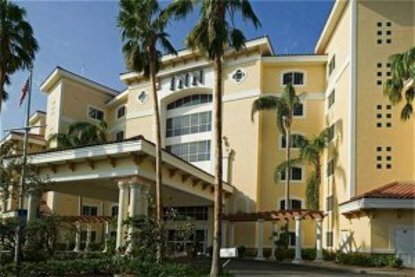 The Inn at Pelican Bay - North Naples only boutique hotel. Just one mile from the glorious sugar sands of the Gulf of Mexico the intimate charm of one of Americas finest boutique hotel awaits. The Inn offers extraordinary surroundings impeccable service and convenient access to many local attractions. Our 24-hour concierges are knowledgeable on all area activities and will assist in providing you access to championship golf boating tennis and a wealth of other pursuits. Also enjoy complimentary continental breakfast cocktails at InnCognitos spacious guest rooms and exceptional guest service.